About MBA (Full Time) Course: Master of Business Administration (MBA) is an Post Graduate Degree Course for the future business leaders. During the Two Year Full Time Degree Course, a student is trained with the management skills and is educated about the organizational functioning. Students are exposed to the core management concepts and their practical applications. Aim of the course is to develop future managers with the capability to manage an Enterprise along with Entrepreneurship skills to develop new business ideas. MBA (Full Time) is a 2 Years (4 Semesters) program approved by AICTE, New Delhi. 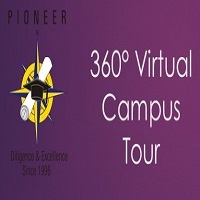 Pioneer Institute one of the top MBA colleges in Indore assists you in customizing your learning through a course pathway based primarily on your education, career experience and goals. It provides in-depth understanding of traditional and non-traditional aspects of Management Education thus Institute proudly stand at top MBA colleges in Indore. The MBA program of MBA Colleges in Indore is designed to help students formalize ideas and look at them logically. A mixture of rigorous research-based curriculum with an emphasis on real-life presentations, the experiential knowledge drives students to ascertain practical business solutions using the tools and techniques that develop in and outer classroom during course interval. Selection Procedure: The admissions are govern by The Department of Technical Education, Bhopal on the basis of MET examination conducted by VYAPAM, Bhopal for state seats as well as All India Seats. Counselling will be done at the Institute in the presence of DTE representative. However, admissions can also be given on the basis of graduation marks if seats are available. University Grants Commission, New Delhi has introduced the Choice Based Credit System (CBCS), where students have a choice to elect course from the offered courses. Courses are further categorized as Core, Ability Enhancement Compulsory Course, Generic Elective, and Specialization Elective. These courses can be learnt at their own pace and the entire assessment is grade-based on a credit system. The basic object is to address the needs of the students so as to keep up-to-date with development of higher education in India and abroad. CBCS aims to update the curriculum keeping pace with the liberalisation and globalisation in education. Pioneer Institute is one of the leading Institute of M.P. to introduce Choice Based Credit System (CBCS) as introduced by UGC, New Delhi. Transfer Cases: Pioneer Institute provides flexibility to students to take Inter college/university migration within the country and outside. CBCS makes it possible with the transfer of earned Credits among the institutes. This means that it will be easier for students from different colleges / universities to migrate to Pioneer Institute.